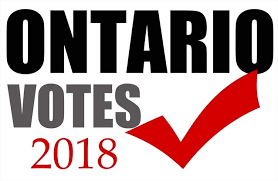 On September 17, 2018 this questionnaire is being emailed personally to every candidate running for Town Council in the 2018 Municipal Election in Caledon, Ontario. All responses, or lack thereof, will be reported in the first week of October. This Questionnaire is being sent out to all municipal candidates running for Town Council for the Region of Peel, Town of Caledon. The responses to this Q & A will be published online in early October, after summer holidays wind down, the “return to school” rush is over, and citizens again begin to tune in to local politics. Unanswered email questionnaires will be indicated with a “Did Not Respond” beside the candidate’s name. 1. Your Council will see new politicians taking office to fill the gaps left by retirement on the one hand and ambition on the other. In order to build a forward thinking, respectful and consensus building Council for the next four years, what would be the qualities you would look for in your 2018 – 2022 colleagues and your Mayor? 2. Since literally anyone who is breathing, of age, and a Canadian citizen living or working in the area can run for Council, what are the credible professional and life skills you would bring to this position? 3. In an era where politicians are accused of and found guilty of violating their Code of Conduct, Integrity Standards, and respectful social mores, yet do not change their behaviours, what are the positive character traits that you would bring to Council? 4. The catch phrases “I speak for the people” and “I seek honesty and transparency” and “I do this for the hard working taxpaying citizens” have become meaningless porridge spin clips from politicians. If elected, what do you truly desire for Caledon? 5. As a newly elected Council member, how do you intend to deal with litigious private interests who lobby, bully, and intimidate local politicians? Note: On Monday September 24, 2018 at 8:30 p.m. there will be an all candidates’ debate at the Inglewood Community Centre, and another all candidates’ debate at the Alton Public School on Thursday September 27 at 7:00 p.m.
For a more casual encounter with your candidates there is a Lunch and Learn on Tuesday, September 25th beginning at 11:00 a.m. at the Rotary Place Senior’s Centre – lunch is $4.00 – call 905-951-6114 to register for the event. Skid Crease is a member of the Canadian Association of Journalists, an author, an internationally renowned speaker, and a lifelong educator currently living in Caledon.